Episode summary: In this episode we talk to Adam Spector, the Co-Founder & Chief Business Officer at LiftIgniter, a company which provide a service which modulates website experience per users, for an array of different businesses. Adam and I discuss what the tech giants are doing to customize their business experiences, what data they’re using to continually alter user experience and what industries and sectors might be impacted by this aggregate trend as it moves forward. The big tech giants, such as Amazon, Google and Netflix, tend to set the stage in a lot of different domains and set public expectations to raise the aggregate tide of consumer experience. Our online experience is somewhat different each time we use these and other sites. This is because many of these tech giants alter their experience user per user in a real time iterative fashion in order to create sticky experiences and to beat their competitors. Brief recognition: Adam Spector is currently the Co-Founder & Chief Business Officer at LiftIgniter. He was previously CEO and co-founder of identity verification business Virtue, and senior analyst at NeuStar. He holds a JD from the University of Miami School of Law. Google, Netflix, Amazon, and other huge tech players are already adjusting web experiences in real time to user behavior on their site. The web is moving more and more towards experiences geared precisely to what that particular user is looking for, even if all we know about the user is the movement of their mouse and the items they’ve clicked. Personalization can lead to more engaging experiences, and more high value users. What kind of businesses might need a website that adjusts to it users in the near future? Although this trend is currently its nascent form for small and medium sized companies, it is definitely an important and growing trend for business leaders to be aware of. Turning insight to action: Right now, companies with more traffic are most likely to benefit from these technologies. It makes sense to model the companies who are succeeding with a similar application. For example, if you make money by ad exposure on written content, model folks like HuffingtonPost, if you’re making money through eCom sales, you might want to model folks like Amazon, if you make money by ad exposure on video, you might want to model YouTube. Moving forward more and more medium sized businesses may have to adopt AI and machine learning solutions to create a dynamic real-time user experience in order to have any kind of comparable result. An important thing to remember is that it’s not necessarily about the amount of traffic or content that a website has. It’s more about the value of an individual on your site; how much revenue is accrued from an individual who visits the website. For example, a media site wants users to click on a lot of content on the site, so they can make advertising dollar, whereas an eCommerce or retail site selling relatively inexpensive products wants as many users as possible to visit their site and convert, whereas a site selling high-end expensive items needs fewer conversion but will depend on users finding the right product (readers with a more overt interest in retail, please refer to our full overview article on “AI in retail”). So user value will vary depending on the type of website and the only way to personalize user experience on this scale is through machine learning. 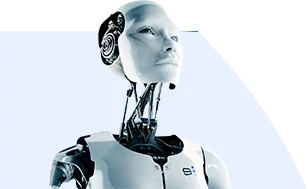 Within in the next three to five years, websites who do not adopt this type of AI technology may find it more and more difficult to maintain any competitive edge and will lose traffic and users no matter how many advertising dollars they are prepared to invest. (3.00): Let’s talk about the concept of the modular, customizable web. How are people like Google, Amazon and the other tech giants already adjusting the web experience per user? Adam Spector: The way you really have to think about it is, their initial goal, and frankly it should be every website’s goal and every digital experience’s goal, is to create the best user experience possible. What is a great user experience? For most people today, it’s one that gives them the answer to their question in as short a time period as possible…The way to do that is to create a user experience that is dynamic and the experience updates in real time for every single user. If you do that, it’s a win for you user, your site and your business. (6.21): What are some things that Google does to tweak and adjust for the best possible user experience, beyond maybe what people are familiar with? People think “I watch all these videos on YouTube because YouTube has the most videos in the world.” The truth is actually, you spend all that time watching videos on YouTube because YouTube is better at targeting you and understanding you interests and preferences at that moment in time than anybody else…They’ve won you as a customer and you won’t spend time going anywhere else to get your video fix. (9.19): It seems easy enough, if you look at my entire Netflix history, to make a good guess at the next thing to suggest to me, but let’s just say I’m on a Rom Com tear one night, they might not suggest to me what my historical behavior would imply, they may suggest what it seems like I’m in the mood for now…I think this is a little more like what you folks are working on. Adam Spector: Exactly. What Netflix does, and what YouTube does, and same thing with Facebook…is recognizing that you are changing and in flux at every moment in time. So if you’re in the mood for Rom Com right now, they should give you Rom Com, but just because you’re in a mood form Rom Com tonight has minimal relevance to the fact that you might be interested in Rom Com tomorrow. Maybe tomorrow you want to watch Sci Fi movies. Your interests are changing and ever in flux because you are being influenced, and this is a key thing. You’re constantly being influenced by external factors and you’re even being influenced by factors within the sites themselves…What Google and Netflix have figured out is to essentially create dynamic conversations between each user at scale, across their site so every click, every action…is fed into their algorithms and they’re constantly updating those models to give you a response that is immediately tailored to you, just like you are having our conversation. (13.50): It seems like there’s two dynamics at play. There’s the long-ball behavioral tracking element…historical demographics and behavior, then there’s this real time behavior, whether that’s clicking, view time, whatever. Is it safe to say that they’re of the same ilk but they’re really two kinds of dynamic customization that are going on at the same time? Adam Spector: It is safe to say they’re of the same ilk, however, the right way to put it is using segments, male versus female, 25-35-year-olds, things like that is the legacy and old way of doing targeting, of personalizing the experience…A far better way of doing it, instead of putting users into these specific buckets is by saying, let’s figure out, on an individual, per impression basis, what that person wants right now. (16.75): What does this mean for businesses at large and maybe for businesses that have websites? Adam Spector: If you’re building a website today, whether it’s a an eCommerce, media, enterprise, B2B, and you have any sort of content on it, like items to buy, news or articles or how-tos, it should be utterly personalized to that user, because people don’t have the time, they don’t have the energy to spend a lot of time looking for items. They’ve been trained by Netflix; they’ve been trained by Google. They want the right answer right away and if they don’t find it, they will leave your site and go somewhere else. (22.00): My guess is that there will be some businesses and sectors, that maybe use this very, very quickly and this becomes a norm across the board…Sites with a tremendous volume of traffic…there’s certainly some baseline threshold of how much engagement you have before you can start modulating a user’s experience in real time. If you look ahead in the relatively short term, who are going to be the businesses that are more or less forced to adjust their experience in real time to users? You would be insane to build a website today that didn’t contemplate using AI and machine learning to help part of those users…I believe that every single digital property within the next five years will either have machine learning personalization built into it, because personalization means better user experience, and the only way to personalize in scale is via machine learning…or they will cease to exist.